WHY CJB FOR GUTTER CLEANING? Gutter cleaning is an essential service which requires some level of expertise in order not to damage the roof or gutter. Leave, branches, and old built-up debris from previous years can block the gutter drain which will hinder the free flow of water during rainfall or melting snow in the spring. We have the right tools and ladders to be able to reach almost any gutter height. We will also REMOVE the debris from the property. 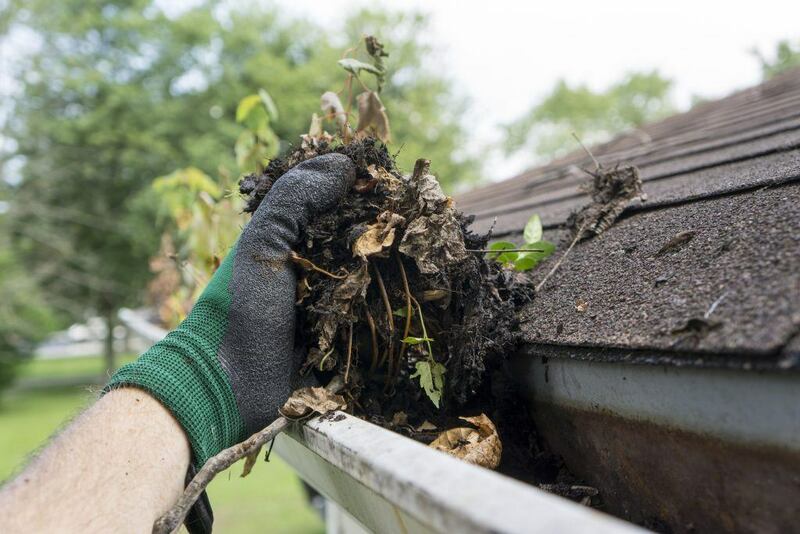 No matter the capacity of the gutter; a few amount of leaves or a huge build-up of decaying leaves and other debris over time could become a blockage. It is advisable that your gutters are cleaned before the winter; it will benefit your home and prevent snow and water log issues. We will make your gutters debris-free and make sure they drain properly. We can also remove small branches and misc. debris from your roof to prevent them from falling into the gutters. Minor repairs such as re-nailing existing gutter nails, installing gutter nails, or installing new clamps are available. Let us know if you are interested.